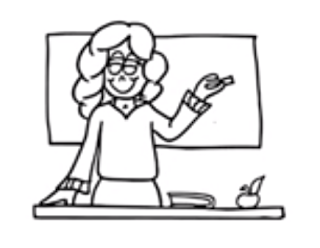 "How to draw School Teacher drawing on Teacher Day| Teacher drawing step by step"
Teachers are considered as next to parents and God. They provide us teachings not only about subjects but also teach us how to live our life successfully. No one can replace a teacher in a student life. Even if you got old and passed out your school and college then also you respect your teachers and obey them as same as you do when you are a student. Here is today's tutorial, we are going to instruct you about "How to draw School Teacher drawing on Teacher Day| Teacher drawing step by step". If you want to give your teacher a gift created by your own then you may consider giving him or her a teacher drawing. In every school and college students celebrate Teachers day as an auspicious occasion on this day they decorate their classes, wishes their teachers and give them presents too. This is students' small effort to make their teachers feel special. Sir students also draw teachers drawing on their greeting cards, on the blackboards or on the chart paper to paste it in the class. Along with the teachers drawing on a chart paper, you can also write the full form of teacher. It will provide your drawing more attractive look. Here we have given the full form of teacher you can write along with your teachers drawing. 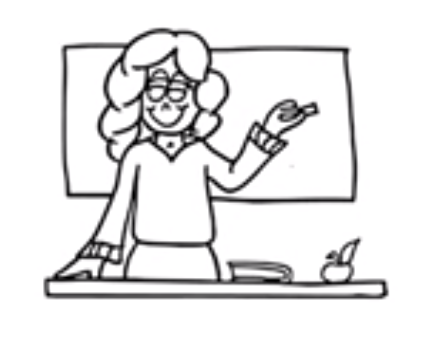 Now let's get back to the point, the tutorial on "How to draw School Teacher drawing on Teacher Day| Teacher drawing step by step" will help you in completing your drawing with perfection. All you need to do is to hit on the below-given link. The link will redirect you towards a video having the stepwise instructions for completing the school teacher drawing. With the help of the above-given tutorial, it will become easier for you to complete the school teacher drawing on Teacher Day. For more related videos keep visiting our portal. You may also subscribe our channel to get all the updates about the latest videos.